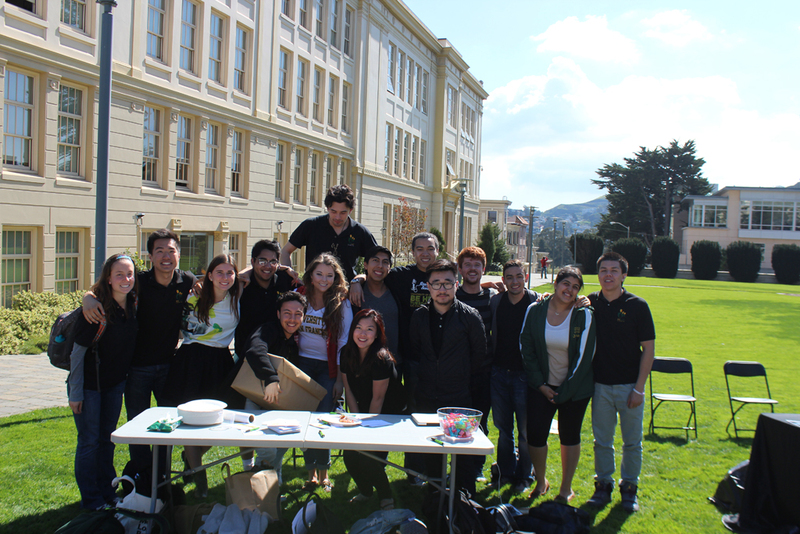 ASUSF Senate’s Spring Elections kick off Apr. 10, and to ensure that students are well-informed and inspired to vote, the Foghorn has constructed a preview of what the ballot will look like, and what students will be voting on. Senators are only permitted to hold one position within Senate at a time. According to their Constitution, “Senate members shall be responsible primarily to their respective constituent community.” It is the job of the Senator to invite constituents to the Senate meetings and events, voice the student opinion, and draft legislation based on that opinion. Executive Board Members have different responsibilities from other members of Senate. The President of Senate acts as CEO and spokesperson of ASUSF. He or she meets with the USF Board of Trustees regularly, and though the President cannot vote on Senate matters, he or she can veto a Senate decision within seven days of the final vote. Current Senate President and senior Eva Long will be stepping down at the end of the semester as she is graduating, so sophomore Larry Figueroa and junior Jonathan Munoz are running to fill the position. The Vice President of Internal Affairs is the liaison between Senators and the Executive Board members. They manage Senate’s internal development and training, and runs every Senate meeting. The VP of Internal Affairs does not vote on Senate decisions unless they are in need of a tie-breaker, and assumes the role of President if the President needs to leave mid-term. The current VP, junior Stefani McNamee, will be running unopposed for reelection on this year’s Spring ballot. The VP of Business Administration is the financial director of Senate. The VP manages Senate’s budget, and allocates the Student Activity Fee with help from the Finance Committee. They are also responsible for reviewing Budget Request changes from funded accounts and non-funded account organizations alike, but does not vote on Senate decisions. Current VP of Business Admin is junior Nick Wu, who will be stepping down from his role to run for Senior Class Representative. Patricia Kealy and Michael Mortimer are both running for this position on the ballot, hoping to replace him after the elections. VP of Public Relations is Senate’s mouthpiece. They are responsible for creating promotional campaigns for Senate throughout the year, and for advertising any positions that open up. He or she keeps Senate’s social media up to date, and acts as the liaison between Senate and student media organizations, as well as other student organizations. They are a non-voting member of Senate. Austin Jacob Dumlao and Raissa Reis are both running for this position, hoping to replace Figueroa. VP of Mission is responsible for instilling USF’s Jesuit Mission within Senate members and the student body. According to Senate’s Constitution, the VP of Mission acts as a “social justice advocate for students,” and organizes Senate’s (and other Funded Accounts’) mandatory Community Action Plans. Current VP of Mission is junior Jacqline Murillo, who is stepping down. Sophomore Shaya Kara will serve as her replacement next Fall, as she is running to replace her on the ballot unopposed. VP of Sustainability is also on the ballot this spring, and sophomore Nick Fragoso will be running for reelection. The Sustainability representative is responsible for maintaining a voice of environmental sustainability within Senate and the student body, and for communicating with other environmental entities on campus. Fragoso began his position mid-Spring semester this year, and hopes to continue many of the initiatives that he’s just begun. “I was kind of thrown into the position, and had to work on things like the GIFT [Green Initiative for Tomorrow] fund, which is two dollars out of the Student Activity Fee, so that budget is used for Green Initiatives on campus […] like Dons on the Lawn. These are the kinds of things that I want to see finished, that I’ve started and want to continue on.” Running against him is Nkeiruka “NK” Medani. Senate is of course not entirely comprised of Executive positions. There are up to two representatives for each of the following groups: College of Arts and Sciences, School of Management, School of Nursing, Off-Campus population, On-Campus population, International students, Students of Color, Non-Traditional Age (24+) students, Students with Disabilities, LGBTQ+ students, and the Freshman, Sophomore, Junior, and Senior classes. There will be competition between Senators in several non-Executive categories, including College of Arts and Sciences Representatives, School of Management Representatives, Junior Class Representatives, Sophomore Class Representatives, and Off-Campus Representatives. Current Freshman Class Rep Giorgia Scelzo is another Senator hoping to change positions to School of Management Rep. “I would like to make myself more available to students and understand from the first moment what they are looking for here at USF as business majors,” she stated on her motive to change positions. “Because of my involvement with Senate this current year, I am more aware of the advantages, and what differences I could make. One of the duties of the School of Management Rep is to talk to the Dean [of the School of Management] and that is what I will do. I believe that, because of my passion in business, I will easily understand what students that share my interest would like to see,” she added. The polls open Friday Apr. 10, at 10 a.m., and close Thursday Apr. 16 at 4 p.m. Students can vote online at http://www.eballot4.votenet/com/usfca by logging in with their USF username and student ID number. There is also a more detailed Voter Guide on the candidates and their statements on SLE’s election page: http://www.usfca.edu/sle/elections/.